Please come with your family and friends. Let us celebrate the Appearance Day of Lord Gauranga and receive his unlimited auspicious mercy . 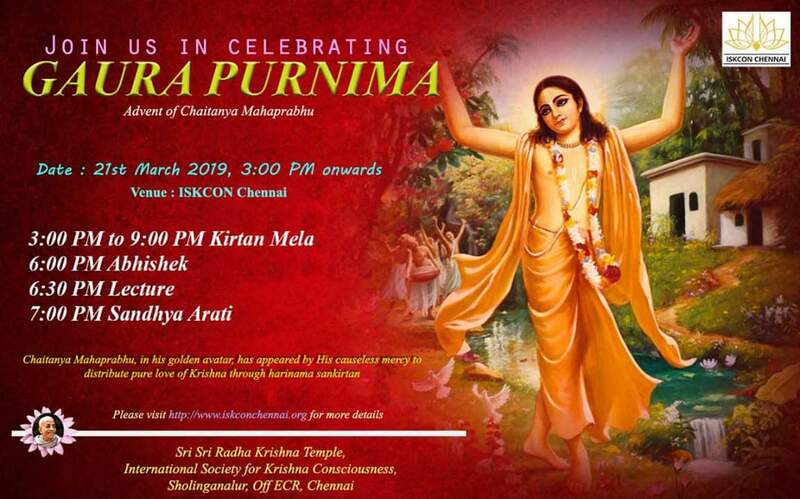 Seva opportunities for Sri Gaura Purnima festival..
Dear devotees kindly donate for the festival and get lord chaitanya ‘ s unlimited mercy.